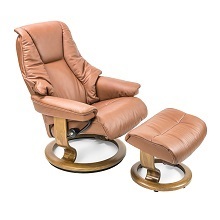 The Live chair by Ekornes of Norway, available in silver cloud Cori leather with a wenge classic base, is a recliner that offers maxiumum comfort and support with its extra padding and generous armrests. 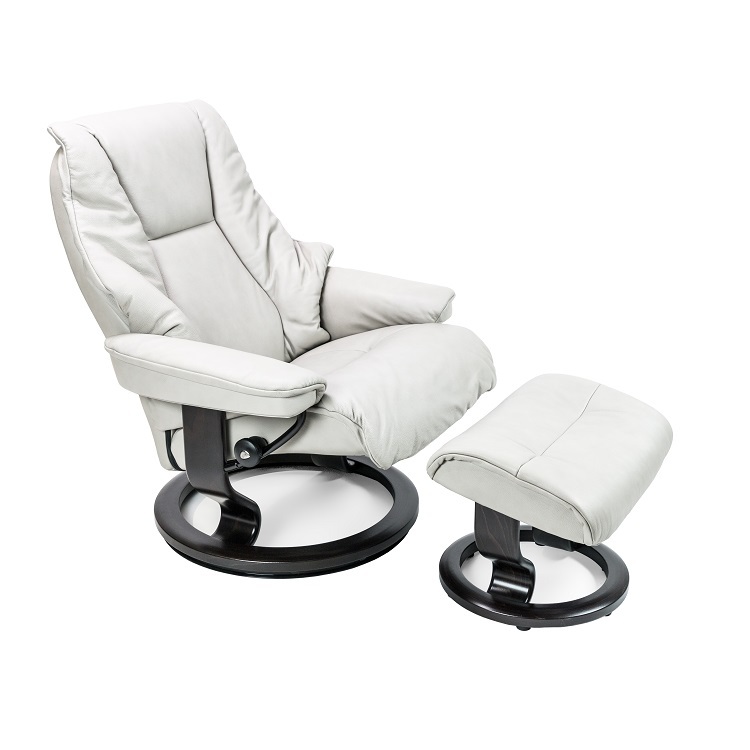 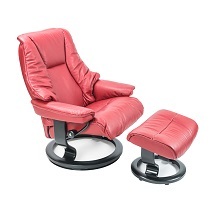 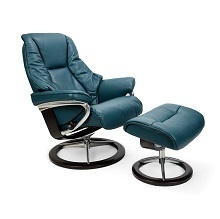 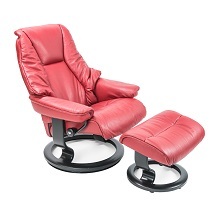 The Live chair is equipped with the Stressless patented Glide and Plus systems, which provide full neck and lumbar support from any angle. 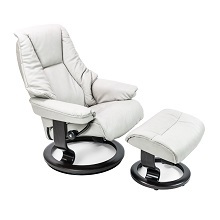 Available in additional colors with signature or classic bases.